Enter a name to change. Specify the first starting number of the sequence number. Specifies the increment value of the sequence number. Specify the case of the name and extension. 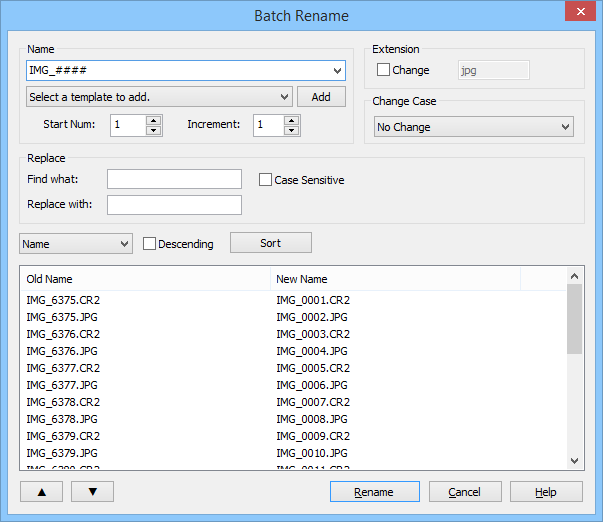 Find and replace the contents found in the name. Sort the list by the specified type.